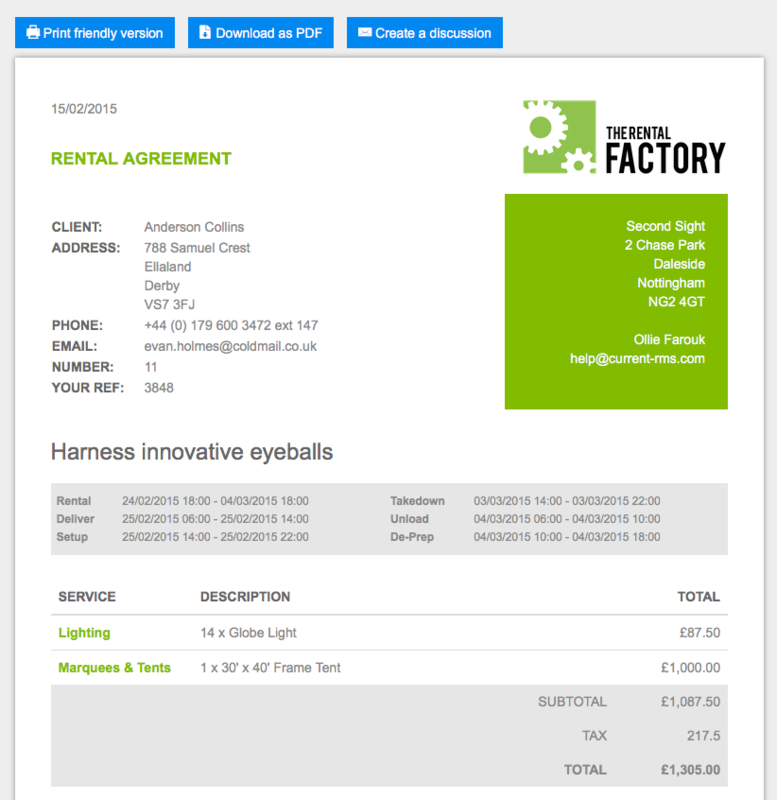 In Resources, you can set up accessories on your products to specify that additional items are rented or sold with a particular product. Once added to an opportunity, products with accessories have a plus icon to the left of the item name. Click on the plus icon to expand the list; you’ll see all accessory products nested underneath. Products can have multiple levels of accessories. The quantity and price of your accessories when added is determined by how the accessory has been set up against the parent product. Changing the quantity of parent products will change the quantity of accessory products. Remove accessories from a product by clicking the blue arrow to the right and choosing Delete from the menu. Tap again to confirm. Accessories can be mandatory or optional. Mandatory accessories cannot be removed. You can choose an accessory’s inclusion type when configuring the accessory against the product. Each line in the items list in Current has its own charge total. The charge total for a parent product is the total for that line and does not include the charge total for any accessories. For example, in the image below the cost of the Go Pro does not include the cost of the Memory Card. For more bespoke quotations or opportunities, you might like to add an item as an accessory to a product you’ve already added to your opportunity. Create an ad-hoc accessory for this. This will not be configured in Resources against your product, it’s just for this opportunity. To add an ad-hoc accessory, click or tap the blue arrow to the right of a product and select Show picker or Add item from the menu. These options open the picker or add new opportunity item screen. From here, add products & services as normal. Services cannot be configured as accessories to products in Resources > Products, but you can add a service as an ad-hoc accessory. This works the other way around too: add products to services! By default, all accessories show up on internal documents, e.g. picking lists. 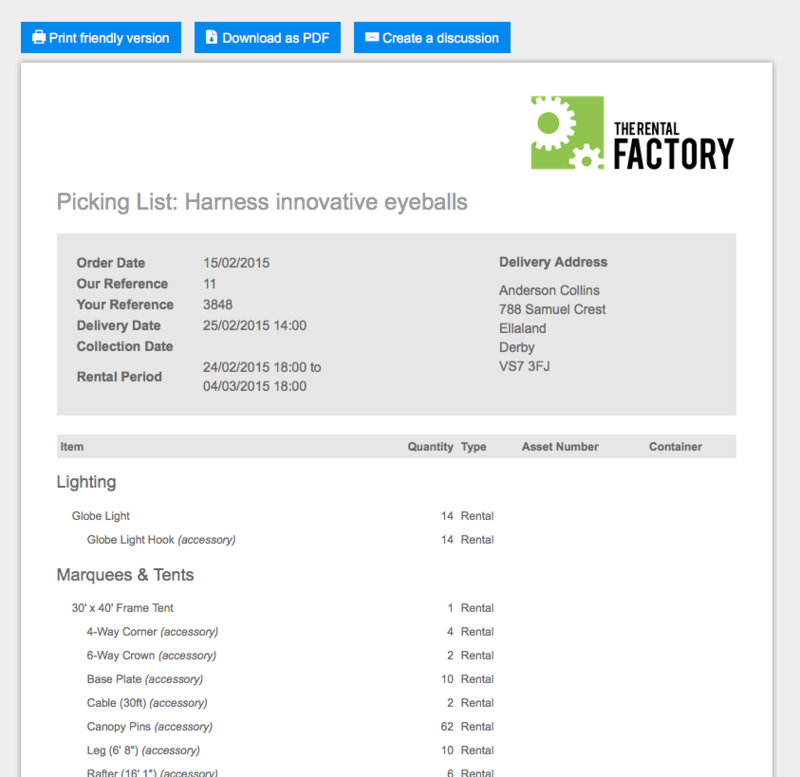 On customer facing documents, whether your accessories are displayed will depend on the accessory mode that you selected when they were added to the product. Accessories set up as “components” will be hidden. To prevent customer confusion, accessories that are set up as “components” will be shown to your customer if they have a charge associated with them. Some of our customer facing documents, e.g. Quotation Layout 1, Quotation Layout 4, and others, hide all accessories – great for package quotations or things like marquees. Accessories are managed in the same way as products in the opportunity detail view. See: What is the detail view?